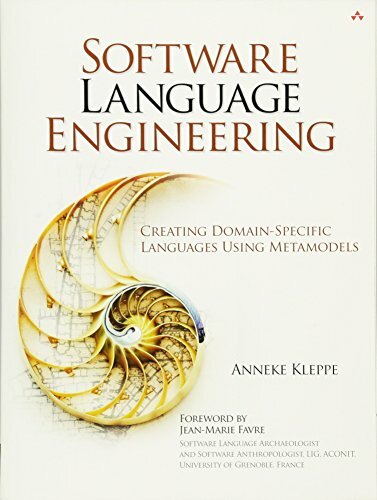 Software practitioners are rapidly discovering the immense value of Domain-Specific Languages (DSLs) in solving problems within clearly definable problem domains. Developers are applying DSLs to improve productivity and quality in a wide range of areas, such as finance, combat simulation, macro scripting, image generation, and more. But until now, there have been few practical resources that explain how DSLs work and how to construct them for optimal use. language specification, including its description of concepts, how those concepts are denoted, and what those concepts mean in relation to the problem domain. Kleppe carefully illuminates good design strategy, showing how to maximize the flexibility of the languages you create. She also demonstrates powerful techniques for creating new DSLs that cooperate well with general-purpose languages and leverage their power. Completely tool-independent, this book can serve as the primary resource for readers using Microsoft DSL tools, the Eclipse Modeling Framework, openArchitectureWare, or any other DSL toolset. It contains multiple examples, an illustrative running case study, and insights and background information drawn from Kleppe’s leading-edge work as a DSL researcher. This book provides software engineers with all the guidance they need to create DSLs that solve real problems more rapidly, and with higher-quality code.